The aim of Majlis E Dawatul Haq is to create a link between Islam and the general masses in order to provide a platform for the propagation of deen. Majlis E Dawatul Haq aims to be a base where people can turn to for all their Islamic needs. Keeping this in mind at Majlis E Dawatul Haq we have a system where everyone can come for their Islamic education. 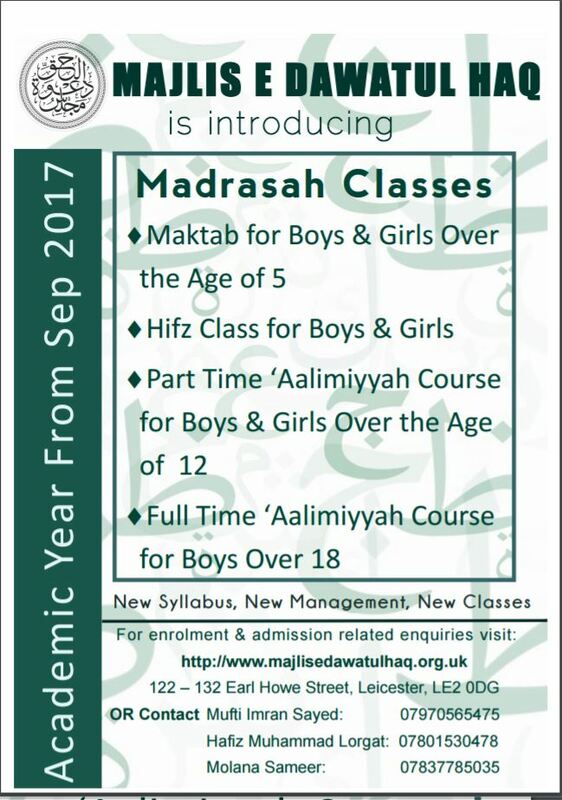 One of our fundamental aim is to encourage people to continue their study of Islam, keeping this in mind we at Majlis E Dawatul Haq we have various classes that run throughout the week.